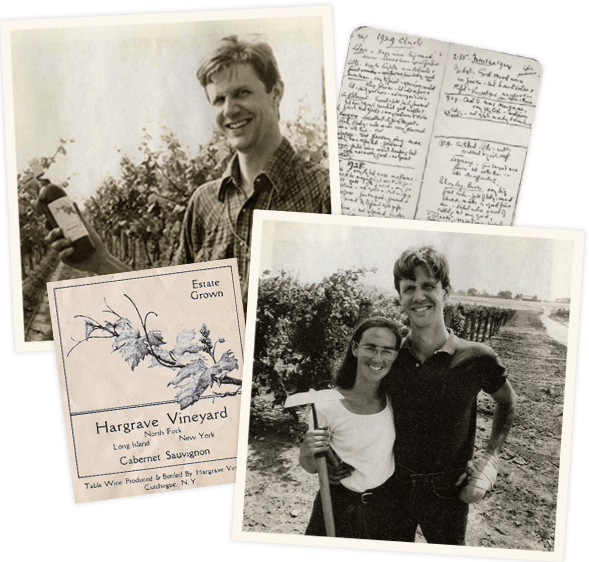 Alex and Louisa Hargrave planted the first Long Island vineyard in 1973 in the town of Cutchogue, N.Y. They were followed by a group of pioneering investors, grape growers and winemakers with extraordinarily diverse backgrounds from all over the world. Their shared vision and experience in traditional winemaking practices created a rich, yet unique, culture that began to catch the attention of wine experts from all around the word. Now, more than forty years later, the region has grown into one of the most exciting up-and-coming wine regions in the country. Terroir is the major factor in determining a wine’s personality - the characteristics that distinguish LONG ISLAND WINES from wines made anywhere else. LONG ISLAND terroir is derived from our glacial soils, cool maritime climate and native flora as well as the distinct culture of the region. ON LONG ISLAND, YOU’LL NEVER TASTE A WINE WE DIDN'T LOVE. 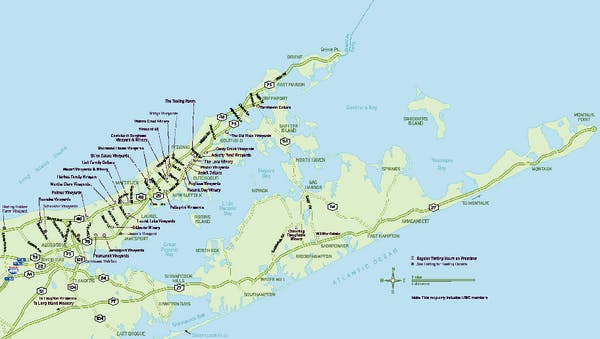 Long Island is one of America’s most diverse wine growing regions, producing exciting, high quality wines. With a wide range of grapes that successfully grow in Long Island's cool maritime climate, the region produces wine with moderate alcohol, intense aromatics and crisp acidity. The best have a style and character all their own, but all are an honest reflection of Long Island Wine Country. A wine from North Fork of Long Island, New York. A Cabernet Sauvignon from North Fork of Long Island, New York. A Chardonnay from North Fork of Long Island, New York. A Petit Verdot from North Fork of Long Island, New York. A Moscato Bianco from North Fork of Long Island, New York. A Riesling from North Fork of Long Island, New York. Pair it with loin of pork, Asian foods,especially Thai or Indian, and Cajun or Tex-Mex dishes. A Chenin Blanc from North Fork of Long Island, New York. A Pinot Grigio from North Fork of Long Island, New York. A Gewurztraminer from North Fork of Long Island, New York. A Cabernet Franc from North Fork of Long Island, New York.